One stitch at a time….eventually. It’s 2011! I’d hate to sound cliché, but 2011 will totally be my year! I mostly say this because this is the year I finally finish college! 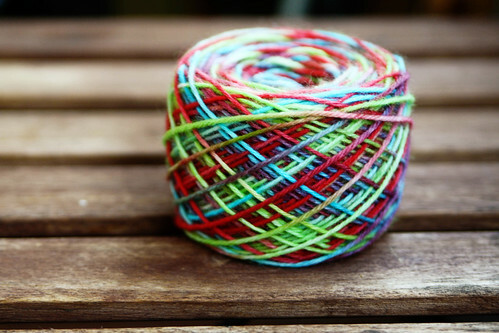 After that, I will have full freedom to knit to my hearts desire. I don’t know why, but the closer I get to finishing the less time I have, but I did manage to squeeze in some knitting in 2010. These gloves are the bees knees! 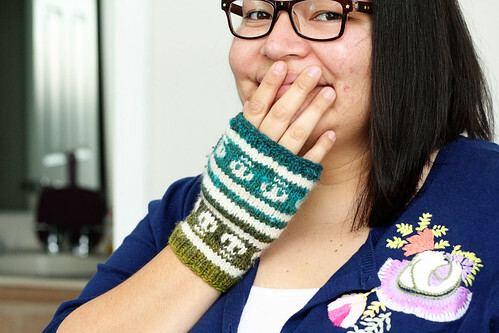 I made them late in the summer and I cannot even express the excitement I had as I knit them! I had kicked around the idea for these for sometime and to see it come to fruition, exactly how I envisioned them was quite exciting. 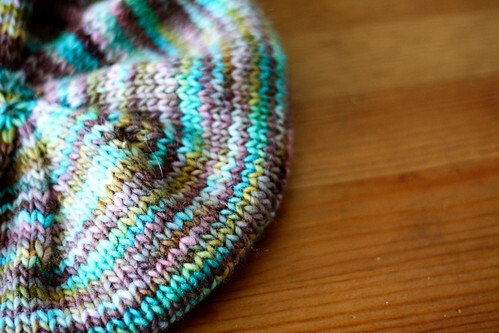 I think I can say without a doubt that these were my favorite knits of 2010. Someday, I hope to write the pattern up and share it with the internets. Mmmmm, Envy. I received this yarn as a birthday gift a couple of years ago, made a too short scarf, and then put it in a box to be frogged. 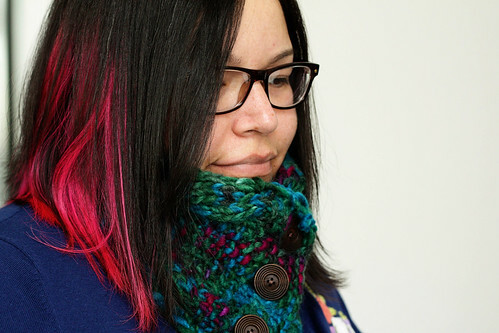 More than a year later, I finally frogged it and made me a nice cowl. This pattern was quick and easy – I made mine during a marathon of Daria marathon on Logo. A perfect evening, if you ask me. 2010 was also the year I properly learned to do things I failed at in the past. For one, I conquered the spindle. 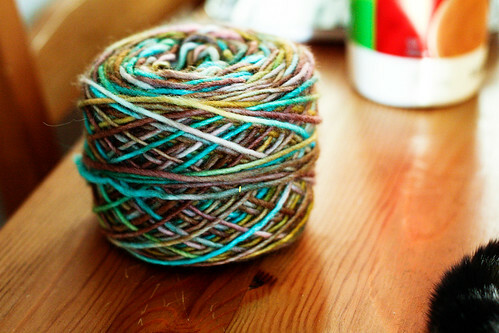 And I also conquered yarn dyeing with kool-aid. I tried this a few times in the past, but always ended up with a orangy-red hot mess. This time I, just like with the spindle, I was much more patient and ended up with much better results. I can only imagine the adventures I will have in 2011, especially once I finish school! Happy new year everyone! Hi I'm Queta! Slow knitter, spinner, procrastinator. Excited to wear this chunky cowl during these cold cold LA days! Most days, this hobby feels useless, but I feel super prepared when it gets cold here! I finally made a hat he approves of! I used @craftygemini’s fleece hat pattern and added bear ears for extra cuteness. I made the adult size so it wouldn’t squeeze his head (his primary complaint about any knit hat I’ve made 🙄) and it gives him room to grow.